Never before was a Lok Sabha poll driven by individual personalities as the just concluded one. With a sharp decline in the standing of political parties across, poll campaigns and voting behavior is now inspired by individual leaders whose personality traits excel that of their parties, their ideologies and charters. Personality centric polls cannot be considered as a reliable process for deepening democracy and making it more responsible. Can we not ensure otherwise that our elected representatives are concerned and preoccupied with public service more? I wrote earlier that 2014 Lok Sabha poll was driven more by Modi than by BJP. Similarly, the debacle of Congress party is viewed as more of Rahul Gandhi’s and the failure of JD(U) in Bihar is viewed as that of Nitish Kumar. Too much focus on individual leaders meant pushing aside real issues. About a dozen individual leaders could be named as prime movers of the 2014 poll. Although it was a “Modi-fired” campaign which steered the course, the others had set the pace for the overall outcome of this poll. Who are these? Modi and Kejariwal, of course, are the game changers of not just this 2014 poll, but the ones to come as well. 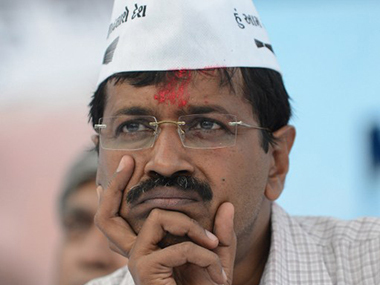 Arvind Kejariwal started it all from nowhere, with nothing to take on. He became a key contender in the poll, but lost the steam mid-way in a whimper. Meanwhile, Modi, being a three time Chief Minister of a well developed key state, hyped himself to become the Prime Minister candidate of the not so confident BJP party. He did not waste much time in becoming a rallying point within the party and a force to polarize the polity first among allies and then across the country. I remember that in the electoral battles in the earlier years, it was the charisma (Jawaharlal Nehru)of leaders which determined the fate at polls, later it was “vote getting” (Indira Gandhi) or pull power that mattered (for mobilizing voters) or brand-positioning that determined poll performance. With increased competitiveness between parties, it was luring proposals which mattered at the polls. This 2014 poll, however, has changed all that. A new poll paradigm has emerged. Modi obviously stands out as the hero of that shift in the paradigm. There are a few other winners too who deserve to be talked about. While Narendra Modi is pan India winner of 2014 landmark poll, five others could also be described as winners of this poll. They are not merely news makers. They are Jayalalitha, Chief Minister of Tamil Nadu, Mamata, Chief Minister of West Bengal, Naveen Patnaik, Chief Minister of Orissa, and two prospective CM’s, Chandrababu and K Chandrasekhar Rao. Among them, Mamata has directly clashed with Modi, and Chandrababu is a pre-poll ally of Modi. The other three kept their options close to their chest, as their main concern was in the interests of their state. But at one time or other, they were a part of NDA and all of them are bitter critics of Congress party. Also, all these leaders, except Babu, fought polls on their own. These leaders performed remarkably well and, in a much better way than was expected of them at the beginning of the campaign. They even managed to overcome the Modi sway in their respective state. KCR did it as he took a courageous stand of not merging with the Congress party. Congress party leadership was accused often of suppressing popular state leaders from retaining their leadership. Would Modi tolerate and allow such leaders in the coming years? Is there anything common in the smashing victories of Modi and these other winners of 2014 poll? I recall the poser of Mrs Indira Gandhi as if very innocently some nearly 45 years ago. What is that people look in a leader and when do they consider someone a leader? What is interesting is that the leadership features that I passed on to Indira Gandhi after a month of field research, are also the same ones now for the resounding victory of Modi and these other leaders. These are the 3Cs. Concerns, Commitment and Communication skills. More specifically, leaders with resounding success are perceived as, one, decisive in taking a stand, second, determined and courageous, third, full of grit in personality and grace in life style, fourth, larger and long term concerns, and ,fifth, charismatic and a vote getter. While Modi’s campaign displayed each and all of these elements in abundance, the other leaders did so in one or other combination of these five characteristics in their respective state. Of course, there are atleast five or six leaders who were routed at the end of this poll exactly for the opposite of those elements. Although only Rahul Gandhi is talked about in this context, we cannot overlook the vagueness of Mayawati, Nitesh Kumar, Mulayam, Sharad Pawar and Tarun Gogoi. Each of them except ofcourse Gogoi were critics of Modi for one or more reasons in the course of their campaigns. More pertinently, they were vacillate or dazed in their poll campaigns. Laloo Prasad Yadav and Jaganmohan Reddy too could be added to this group. Most of these regional players whose strength have been reduced to more than half, have cases to settle personally with one or more central investigating agencies. Rajiv Gandhi missed out on many opportunities to make a big difference to the country despite winning 400 seats(1984). A famous exposition of Rajiv was that hardly twenty percent of a rupee of government expenditure actually reaches the poor. But what has he done to correct such a glaring distortion in the system? Unlike in the case of Rajiv Gandhi, Modi achieved massive majority on his own. He also acquired reputation for his administrative acumenship and definitive ideas. Modi need not waste his time going by past affiliations and voting preference. How Modi brings about an inclusive democracy with his motto – sab ka saath, sab ka vikas, remains to be seen. At a time when the country is happy that 2014 poll has recorded an impressive voter turnout, this phenomena of electoral politics, which continues to be highly emphatic of individual leadership (instead of political processes systems), should make us ponder about vulnerability. CMS studies have also indicated that one reason for the phenomenal increase in election expenditure in the country is that individual candidates account for two-thirds of poll expenditure, while couple of decades ago, it was the political parties that accounted for a higher proportion. To what extent are we ensuring that our democracy is getting deepened and our legislatures becoming more responsible, particularly with a demographic shift all around! It was a sweep for Modi without a wave! At no point in the campaign in the last ten weeks there was any doubt of UPA loosing rather badly and Modi forming the next government. In fact, commenting on a survey finding more than a month ago, I said that this Lok Sabha poll is easiest to forecast irrespective of a wave or no wave. Of course suspense was there with regards to the number of seats different parties are to get. Today we have the confirmation. BJP itself has won more than the majority on its own leaving no scope for any bickering, even within NDA. But, first, what should be celebrated is that after 1984 the country is heading hopefully for a stable Government with one party getting clear majority with more than 250 seats. This result however should not mean end of coalition politics. UP and Bihar voters are the game changers of 2014 poll. 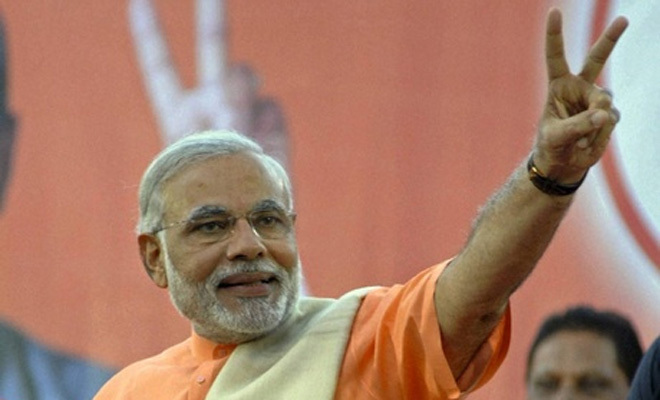 By contributing around 90 seats, they ensured Modi’s clinching win. Although the five party alliance of BJP in Tamil Nadu hardly gained, they helped Jayalalitha gain many more seats than she would have expected. Decline of Congress party is all over. Even in Maharashtra, Assam and Karnataka. In Andhra Pradesh and Orissa where elections to Assembly also were held simultaneously, it was a route of Congress party. In Sikkim and Arunachal Pradesh Assemblies too Congress made no gains. Telengana where Congress was expecting some reward for giving Telengana State has to contend with hardly 2 Lok Sabha seats. In Seemandhra, on the other, it is a sweep of TDP. Because of alliance, BJP could win all the four seats in Seemandhra and two in Telengana. In Orissa Navin Patnaik’s BJD is voted for the fourth time with a much higher majority. AAP may have won only two seats, but has changed the paradigm of poll politics in India for good. Decimation of Mayawati’s BSP in UP reminds vacuum in Dalit leadership in the country. We could forget the idea of a Third Front for the present. But regional parties gained all across, although the numbers of Mulayam and Mayawati have declined significantly. Jayalalitha and Mamata have significantly improved. An idea of Federal Front (or a secular front) with Mamata also will not take off now even if Congress party openly comes out. But this massive mandate is that of Narendra Modi’s, more than of BJP’s. This never before seen massive campaign was conceived and coordinated from Gandhinagar, not from BJP HQ in New Delhi. 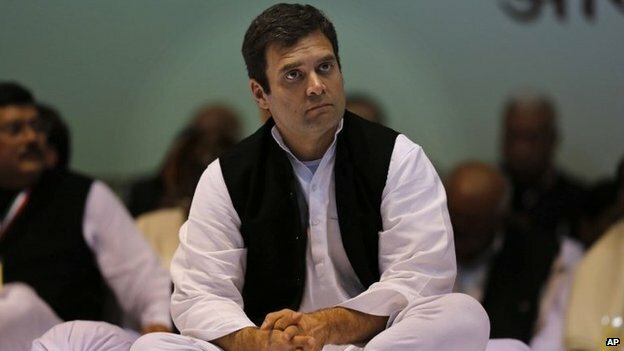 There was never any doubtful moment once after Congress party decided not to nominate Rahul Gandhi as its candidate for Prime Ministership after weeks of suspense. For this final outcome of 2014 poll, strategists both of Modi and Congress party contributed in different ways. Congress campaigners facilitated as if in league with its own adversary! Being an active observer for over four decades, for sure I could say that never before in the previous elections to Lok Sabha, Congress party’s campaign was as rudderless and so innocuous as in 2014. That is how Congress party lost out the plot even before it took off. Even AAP lost out its steam midway. Never before so many opinion polls were covered in media – all indicated BJP as the front runner. Pre-poll surveys, more than exit polls, could claim being right and justify poll surveys. What difference so many surveys made in making voter sensitive and discriminative in their voting would be interesting to go into separately. What factors helped Modi’s impressive numbers? First, talk of a future with specific promise, instead of a distant past. Second, development is the concern of the country, show case a model, do not tamper seriousness with rhetorics of past. Third, reflect country wide urge for a decisive and assertive leadership, do not shy away and be unambiguous; Fourth, display not just modernity but command of technology and its use, not mere talking about. Fifth, appeal to new generation Indian by offering them with opportunities and active responsibility. Sixth, rely on a research based strategy, instead of getting bogged down with mandane poll surveys. Seventh, talk big and national but with regional identities that capture local emotions. Eighth, campaign for Lok Sabha poll cannot be half hearted, it has to be backed fully with resources. Modi campaign must have cost much more than ever before and more than everyone else’s put together. Ninth, oratory skill in conversational style appealed better even large public meetings and in social media. Apart, Modi strategists were apparently determined professionals and mission managers. They ensured every instrument of mass persuasion was availed in a phased way. They were prompt to convert every move of opponent into an opportunity as In the case of chaiwala. Some critical reasons for Congress party losing rather miserably could also be recalled. First. This is a classic case of anti-establishment, not in a limited way but wide across the sections. There was no evidence of UPA Government taking correctives. Second. UPA govt miserably failed to communicate some of its own good initiatives. Irony is that having ignored promoting them and involving party cadres at grass roots, it claimed credit just on the eve of this poll. Third, Dr. Manmohan Singh’s style as Prime Minister added to the insensitiveness of the government and woos of the party. Even more, the way Dr. Singh responded to the key concerns of people and to series of scams, caused anger about performance credentials of the government. Fourth, without grit and grace no leader emerges. Rahul Gandhi was also on a “different tune”. Fifth, despite repeated assertions that candidates will be finalised three months before, the party could announce names only at the nic of time as ever before. This has sent out a message that things in party are not going his way. Sixth, there was no evidence that Congress party’s over all poll strategy and campaign had the benefit of applied research. Congress party has to reinvent itself for future prospects. Congress party cannot expect to reemerge without bettering its base in UP, Tamil Nadu, Orissa, Bihar and Seemandhra. Going by voter turnout phase-wise, no wave was there. In fact, from 5th phase onwards, turnout had declined to less than 65 percent from 70 percent in the first four phases. UP had six phased poll. The turnout in the first two rounds was above 62 percent. But in the later three phases of UP, turnout declined to near about 55 percent. Modi wave would have meant progressive increase in turnout. Are 2014 Lok Sabha poll media driven? Or is it more appropriate to say they were Modi driven all the way! Some may even say that it was Kejariwal driven, as it was he who figured far more in news channels, even more than Modi, in the first month of the poll campaign. Thereafter, coverage of Modi excelled as survey after survey came up with Modi leading the poll race. Going by media coverage there would be hardly a couple of other leaders who figured anywhere near nationally. But why was media repeatedly accused of giving “coverage of a wave”. Or, why others said that a third front is “more in media”. Social media too changed the complexion of 2014 campaign but more at macro level. One thing is for sure. No country would have seen so much space and time of news media devoted for covering national elections over a period of almost 100 days! On the face of it, that should be good to say that our Indian democracy is vibrant. Such a coverage cannot be simply because India has too many round the clock news channels and so many news papers. As of end of May (until a new Government is ushered in) the news channels would have devoted between 55 and 75 percent of their time daily for poll coverage and news papers would have easily devoted 15 to 20 percent of their news space daily all these 100 days or more. And then never before Indian news media covered so many “opinion surveys” during these 100 days or more as if raining cats. That too at a time when such surveys have come under increased questioning on many counts, including their reliability and even relevance. That many surveys, with the kind of samples claimed, would have meant an expenditure of over Rs.1500 million (who would have paid is a different issue). But then one could say that is hardly anything since the overall expenditure involved in this 2014 Lok Sabha election would be over Rs. 30,000 crores! 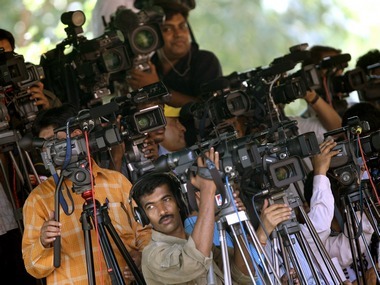 In fact, never before in Indian elections so much was spent on media and focused too, in support a candidate nominated for Prime Minister position. The question is what difference has all such efforts of media made to make this 2014 Lok Sabha election truly a game changer for deepening democracy and ensuring good governance in the country. Have they made any? What is expected of such an extensive preoccupation with elections of a free and independent media of the country operating under intense competition? The least that is expected is that news media function conscious of the fact that free and fair elections are as important as a free and independent media is. Even more pertinent is that there is no evidence that coverage of concerns of voter is any better now than before. But, on the other, 2014 election witnessed unprecedented war of words with hate speeches of lowest level even more at highest level of party leaders, hence as prominently in the media, the news channels appear as if all out to take advantage. With no commensurate coverage of basic concerns of voters, or substantive issues before the nation, or the propositions put forward in the party manifestos. Increased media space and hyping of such personalized controversies has been availed for TRP oriented coverage as before. And as if all news media are together in that in a jugal bandhi and are in a way accused (for manufacturing) the controversies. News channels have been criticized for hours of live coverage of extravagant road shows and filing nominations blatantly violating Election Commission’s code. Of nearly a thousand “paid news” complaints on record during this poll, more than a quarter of them also received EC notice after verification. Would that make any difference? A public debate since after the 2009 poll has not! There was hardly any diversity or sensitivity in the coverage despite competitive compulsion between channels. The nature of coverage remains punditry and preemptive as before. Now by many more degrees, as if each one believes more coverage is merrier. Of course, for themselves, not for voters or for the very electoral process. Despite being a media driven poll, campaign for 2014 polls hardly made much difference in making the poll qualitatively different and any more free and fair or in making voters selective. I am reminded of what L K Advani said about media soon after lifting of Emergency in 1977 – “when you are only asked to bend, many chose to crawl”. Just concluded 2014 polls reminds uncertain trends that are acquiring threatening proportion effecting fundamentals of our democracy and good governance. The irony is that this is so at a time when the country is going through a demographic shift with more than one-third young becoming voters with higher levels of education, increased exposure to news media and activism of civil society. This contradiction brings out 13 initiatives for ushering in a new wave of democracy and governance in the country. Not all the correctives needed in this context require legislative intervention. Some ofcourse do. Some others require initiatives and interventions by designated agencies within the existing provisions. Others require promotional efforts by political parties, civil society, media and government agencies. 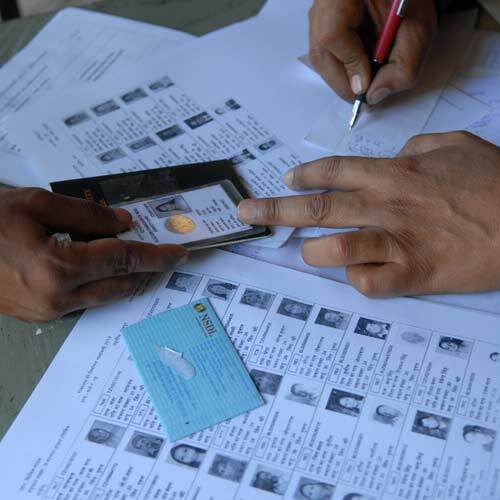 Importance and urgency of political reforms should lead to a paradigm shift in the electoral process and practices. Second, defections in legislatures from one party to the other after getting elected have been more after the anti-defection law. We thought days of ayarams and gayarams have gone. Instead, Individual defections have been replaced by group defections. Infact, never before so much cross overs were there between political parties at national level and in the states as of 2014. In Andhra Pradesh Assembly alone, for example, more than hundred legislators crossed over to some other party since 2009. Quid-pro-quo is so obvious in the process. And sanctity of elections itself is getting eroded. Parties and voters do not seem to think that such criss crossing need to be discouraged for better politics in the country. How can such a trend be curbed and prevented? Third, mounting election expenditure in the country and increasing cost of fighting an election at every level has been brought out by CMS. The way the poll expenditure is multiplying should scare the country. It is already vitiating free and fairness of polls. This is bound to deprive good governance to citizens. Can we ever address the menace of corruption in the country? In fact, this expenditure is the source of all corruption and outlet for black money. Unless we find ways of keeping expenditure in elections at minimum, democracy in India could only be a mockery. Now in 2014 news of false affidavits about assets and campaign expenditure by candidates are all around. Supreme Court has advised the Election Commission last week that it has power to unseat such a candidate. With corporates entitled to spend 7.5 percent of their net profits for political funding from 2014, what is the message? Should we allow elections be reduced to ‘paisa ke khel’ instead of being nucleus for participatory democracy? Fourth, without ensuring inner party democracy can we expect to bring in sane politics and better governance? Although Election Commission made impressive initiatives in bringing efficiencies in managing the polls, it made no difference in the modus operandi of political parties and their process of selecting candidates at any level. Most parties do not even comply with their own party constitution and transparency norms and rules, and yet EC cannot do anything to make them comply. Not one party had been deregistered. Is it to do with powers, or compliance of laws, or is it not realizing the seriousness and significance? Fifth, political parties are missing an opportunity of rejuvenating themselves by keeping outside the purview of RTI Act. I had argued why it is in the best interest of parties, poll process and over all cleansing and consolidation of democratic roots. We need to bring in political parties under this wonder legislation. Parties could come up and argue that certain poll strategy related aspects could be exempted. My paper on the subject written a year ago explains the compulsions. Public pressure need to be kept up before the next Government too thinks of an amendment of the Act. Sixth, representative character of our elected representatives calls for critical appraisal and urgent correctives. This is not merely in terms of local residence, but as to votes secured to get elected. The way the parties select their candidates is not conducive to ensure local concerns all through the five year period of office. Winnability is an outdated idea but is being relied. No wonder why basic concerns of people (to do with drinking water, roads, sanitation, etc) remain on paper and as statistics? All because of decline in the representative character of elected reps all across. Have we realized this sufficiently? Seventh, conflict of interest of elected representatives is so blatant in many cases and yet there is nothing to prevent scope for misuse of public office. What is at stake is accountability of representatives elected for service with an inherent notion of sacrifice. A CMS study on sitting MPs two years ago brought out that nearly one-fourth of them could be named for conflict of interest involving business, industry, trade, etc in their indulgence in the activities of the House as per their own declaration. Getting elected using resources much beyond the limits and then indulge in activities to multiply assets appears to be a modus operandi of some elected reps. There has to be limits on such priorities. Increasing transparency alone may not be enough. How can checks and balance principle be brought in? Eighth, abuse of office for incumbent advantage is so blatant at the Union and in the States. This is despite there is no convincing evidence in the past that such misuse of office, pays off at the polls. The present cut-off date of Election Commission is not minimizing the scope for such efforts of incumbent parties. What is the experience of other countries in this regard? Increasing the period of model code much beyond has its pros and cons. The hurry with which UPA Government and State Governments went viral with advertisement campaigns all over is one thing. But worse is literally pushing decisions with consequences to nation and future just a couple of days before the poll code comes into effect. Should this be allowed? Is that not setting a bad start of a poll campaign and a bad precedent for the next Government? Ninth, poll eve surveys have become contentious for some time. With political parties and news media taking to such polls, they have proliferated more recently to the extent of threatening the very free and fairness of electoral process in the country. And yet the EC maintains that it cannot do anything about when it is its mandate to ensure polls are free and fair. When it can stop major schemes of the government to do with economy, why it cannot take initiative with regard to these poll surveys? I have been writing about poll surveys for over two decades and in fact brought out a decade ago that poll surveys do influence poll process and even the outcome. Interestingly, it was a lapse (or a clerical error or an oversight) on the part of EC officials a couple of years ago when they filed for ban of surveys. Instead of mentioning “poll eve surveys” to mean both “pre-poll” and “exit poll surveys”, they mentioned “exit polls”. Limiting the ban only to “exit polls” in a nine phased poll schedule allowing “pre-poll surveys” flood the poll scene, is only half hearted effort. Linking poll surveys to freedom of press should not mean that independence of elections is not as important when in fact both are two sides of same coin of democracy. Pre-poll surveys too should not be featured in news media once after the code comes into effect, not just 48 hours before the poll day. There is so much gang up (or conflict of interest) to proliferate this Rs.100 crores business (estimate for 2014) of conducting all kind of surveys for candidates, parties and media – all to vitiate the process in one way or other. Tenth, paid news is not a discovery of EC, but it has opened up a pandora’s box. As a hidden phenomena it is all pervasive for much longer in the media of the country. Now it is a symptom of a larger malice to do with media policies in the country over the years. If political parties can own and control news media, how can they be restrained from availing opportunities to influence public opinions? And media becoming a profit maximizing enterprise, instead of an essential service function, can a code of conduct be brought in for media same way as for political parties, candidates, bureaucracy and government agencies. EC’s initiatives in this regard could only be a essential first step. Writing about paid new (The Hindu, January 20, 2010 “Paid news, a deep-malaise”) I suggested multiple initiatives. EC is taking a limited view from an “expense” point of consideration. EC should demonstrate its responsibility now that Supreme Court has reminded its power to disqualify violators of codes including ceiling on expenditure. 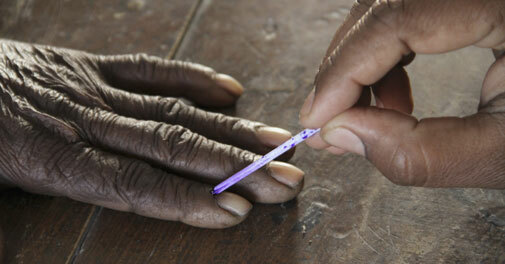 Eleventh, freebies in galore and note-for-vote have become the modus operandi of poll times in the country. Freebies are what parties and candidates formally offer free if come to power. Consumable, households, durables and the like going beyond welfare and equity concerns. Then ofcourse lure of cash which individual candidates informally distribute on poll eve. This phenomena has become alarming and all across. Until recently this practice was threatening proportion in a couple of States in the South, now in 2014 it caught on the States in the North where muscle power has been replaced with money power in elections to the extent of vitiating the very process. And yet what we see in news media is some instances of unaccounted money in transit being confiscated running into a few hundred crores. But there seems no restrain on that practice. On the contrary, despite initiatives by the EC, the expectation of voters for such lure are multiplying from election to election. This cannot be the concern and task of EC alone. This has to be of everyone in the country. Media coverage of these instances instead of pointing an erroneous nature and its implications, giving a boost to the phenomena as if internalizing the practice as a necessary (evil) to fight a poll. Twelfth, has the first past the post system of elections out lived in the country? Is it time to look for alternatives where level playing is ensured, elected posts remain public offices for service, and ensure that elected reps remain accountable. If political parties cannot ensure inner party democracy, perhaps it is better that we have party less candidates in the elections. I remember not long ago elections for local governments were held without party labels and where money was not everything and when disputes and divides between party leaders were less at Panchayat level. Thirteenth the tenor of campaign speeches of leaders in election campaigns call for a critical look. Firstly, poll speeches were more personal accusations with abuses of each other rather than on issues or propositions. Second, the language used reflects the kind of impatience and intolerance that leaders have to each other. Belittling each other using “inflammatory” language has become common, despite Election Commission’s notice in a few isolated cases. This has become an easy way to provoke and get public attention, particularly increased media space. Thirdly, those who get elected using such language and personal accusations, could they be expected to behave better on the floor of the Assemblies? News media has an active role in this regard and, in fact, can do much more than the Election Commission. They could discourage such a trend by not covering such statements. With corporates formally providing funds for parties and candidates and political parties entitled to own and run news media, are we (innocently?) formalizing quid-pro-quo politics in the country? And also conflict of interest of elected reps, and yet expect elections as independent, free and fair? What kind of checks and balance system can we have to ensure? News media could do far more in respect of many of these threats. 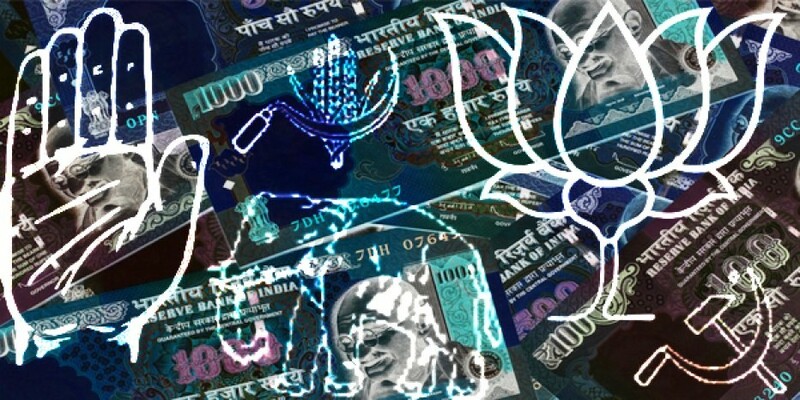 By raising the ceiling on expenditure from Rs 40 to 70 lacs for a Lok Sabha candidate to spend in 2014 election, the government may have satisfied a couple of political parties. But it could be accused for making elections in India most expensive and for making level playing in Indian elections a distant dream. The Union Cabinet took this decision as recommended by the Election Commission, which in turn did so based on demand of political parties it had consulted. Only one or two opposed the move. The excuse given for the increase was that the number of polling stations has gone up, although that was only marginal. This move together with increased use of television advertising has pushed the expenditure in this 2014 Lok Sabha poll to the vicinity of 30,000 crores of rupees. That is an expenditure of 400 to 500 rupees per voter. But assuming a voter turnout of 75 percent in this Lok Sabha poll, the expenditure works out to 550 to 650 rupees, per vote caste. This 30,000 crores estimate for 2014 is against around 10,000 crores estimated by CMS as expenditure in the 2004 Lok Sabha election. From 2500 crore expenditure in the 1996 Lok Sabha poll, it has increased ten times fold. Increase in competitive electoral politics of the country is mostly responsible for this substantial increase in election expenditure which in turn could be correlated to increasing corruption in the country during these years. This estimate for 2014 is outcome of an elaborate analysis, based on a variety of past and present trends of parties in contest, keenness in contests, candidate characteristics, campaign monitoring, field observations, large scale survey data, updating with pre and post poll sampled interviews. This estimate includes expenditure involved at four different levels – EC and various Government departments of States and Centre, political parties, contesting candidates and others (like corporate/industry, lobbies). CMS started tracking poll expenditure in 1996. By increasing the ceiling on election expenditure of individual candidates contesting not only for Lok Sabha, but for Assemblies, the government has now reminded that use of money power is of threatening proportion to Indian electoral system. And yet, only West Bengal Chief Minister, Mamata Banerjee has come out openly criticizing the official increase in ceiling on poll expenditure. Clearly this implies increase in the expenditure allowed at the elections for Assembly and other local bodies. The increase at this point should be of particular concern as a high percent of those who contested in 2009 in Lok Sabha poll showed an expenditure substantially less than what the ceiling was at the time. According to an ADR analysis, on an average in 2009, candidates as per their own reports filed with Election Commission was less than Rs. 15 lacs against a ceiling of 40 lacs. If on the other polls are contested on issue basis, sensitizing and involving voters so that they become active citizens, one can perhaps justify such high expenditure. But this 2014 poll is proving to be a bitterly fought one without keenness on issues and also, without much suspense in the outcome of the poll itself. And, the news media are covering polls in a preempting way of fundamentals of an election in a democracy. And yet political leaders are not addressing this issue seriously as it suits most of them and is of their making. What do elections cost India for Lok Sabha down to state Assemblies, Zilla Parishads and Panchayat level over a five year period? Assuming that all these elections take place at different time point during a five year period, the expenditure involved now would be in the vicinity of one and half lac crore rupees!. Much more than half of this would be unaccounted. 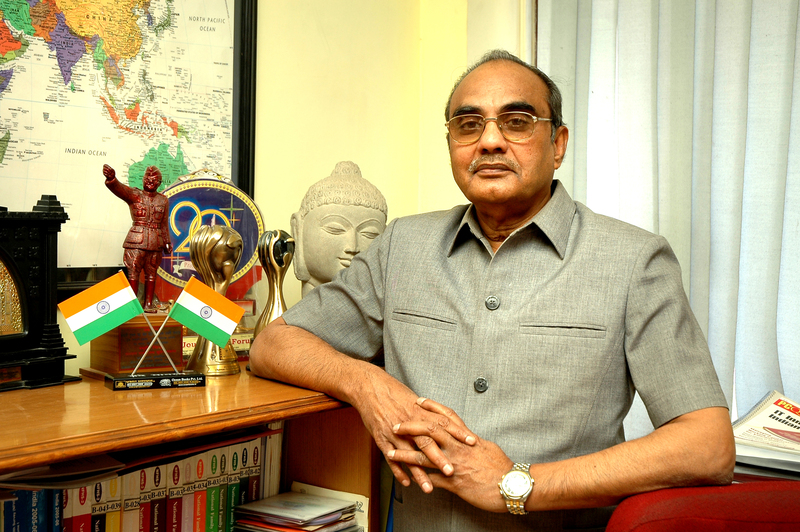 Since CMS had brought out the extent of “note-for-vote” phenomena in that nationwide large survey in 2007 (refer Transparency Review – www.cmsindia.org), the Election Commission of India took to several initiatives to curb the flow of cash on the eve of the elections. That is how there have been several news stories during the elections, national, state and by elections, on the extent of cash seized. In each recent poll to assemblies, this was any where 50 to 150 crores of cash including from an ambulance, or helicopter, car tyre tubes, etc., the EC has inducted senior observers all over, including from IRS service, to track and bring to book such unaccounted expenditure by candidates. Andhra Pradesh is an interesting and unprecedented case. CMS studies in the last decade indicated that AP is one of the state where more than half of voters are distributed cash on the poll eve and what is given per voter was also much higher than in most other states. Between March and May 2014, the state is going for elections to Lok Sabha, Assembly, Municipalities and Corporations and for Mandal Panchayts. While Lok Sabha and Assembly polls are held together, for the others elections are held separately. In all, 42 Lok Sabha, 287 Assembly, 156 Municipalities, 22 Zilla Parishads, 1096 Mandal Parishads and 16,589 MPTCS will be elected in all in these elections. This time, these will be far more keenly contested between four or more different parties. A quick estimate of what is likely to be spent by candidates in all in these various polls in AP during this quarter would be not less than Rs.7,000 crores and it should not be a surprise if it goes beyond Rs. 10,000 crores. Against a ceiling of rupees two lacs by EC, ten to twenty times more expenditure is expected per member. According to a report, for example, election to Vijayawada Municipal Corporation (with 59 divisions) is expected to be near about Rs.100 crores including what goes into the election of Mayor. And all that in a matter of 20 days. This is despite that Vijayawada Corporation could not even pay salaries on its own. It is a four corned fight. Since announcement of the elections to local panchayts in AP, fifty lacs to eighty lacs of cash is being seized daily in the State by police at entry points of towns. But these are only symbolic. This estimate does not include what is spent towards getting nomination of the respective party. Within the first week, after these polls were announced, nearly ten crores of rupees was seized. Although corruption is much talked about as a national malice, one aspect that has not been seriously pursued is that this corruption by way of “note for vote” is depriving good governance and is threatening the roots of democracy and development. And that in fact, is the source and origin of cycle of corruption in the country. That is why I described it as “Mother of all corruption” in the country. This phenomena has not become a priority concern neither of corruption crusaders or of political leaders or of mass media as it should have been by explaining voters what accepting cash doles in lure and in lieu of vote, meant to them individually next five years. On the contrary, media is reported that poll eve expenditure give boost to the economy and to consumer markets when in fact it is eroding the very fundamentals of democracy and also development of the country. By hyping in their coverage that candidates are crorepaties, contractors or rich corporates, news media is unwittingly adding to the expectations of voters based on its annual corruption studies. CMS had indicated, that voters would in all likely end up paying individually ten times more as bribe in their availing basic public services that they are entitled otherwise in the normal course, simply because they succumbed to the freebees and cash on the eve of elections. With one-third or more of news media in the country slipping into control of corporates and political leaders, we cannot expect to curb the phenomena of paid news on the eve of elections. “Quid pro coverage or reporting” has now acquired threatening proportion in driving public opinion trends and priorities of the day. Betting on who wins or loses or which party gets what number of seats is yet another transaction that is reported on the eve of Assembly and Lok Sabha elections. This too would be in hundred of crores. This happens across the country close to the polling dates and more in between the day of polling and day of counting. Although this is less to do with core of elections as such, the fact that it is often reported prominently in the news media tend to influence voter perceptions and expectations. With extensive use of social media now, satta bazaar centered betting is likely to receive a boost. The Election Commission of India views and approaches these trends more as curbing black money in election campaigning rather than implications or good governance and corruption involving citizen. There is limit what the EC could do in this regard without serious realisation on the part of the voters, political leaders and the news media. We need to ponder over the continued desirability of very “first past post” system of elections itself. “State funding” of polls is being talked about. We also need to look into whether party less polls will reduce the role of money at various levels of elections. Political advertising on poll eve on television need to be regulated too, before it vitiates the very poll process. Can news media / social networks be promoted specially such a way that enormous amounts need not be spent on poll campaigns? I feel a search for alternative ways of electing peoples representatives have to be explored – for all levels of governance.